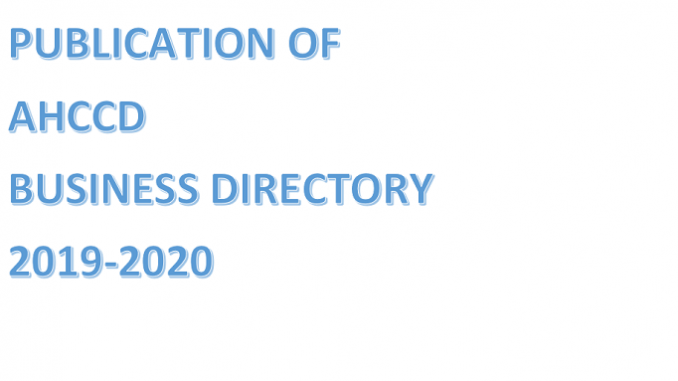 The Arab-Hellenic Chamber of Commerce & Development, in continuation of its offering quality services to its members, is going to publish the Business Directory 2019-2020 in the English language, during the first semester of 2019. This publication provides a unique opportunity for the promotion of our members’ products and services to the Arab world and aims at raising the trade balance between Greece and the Arab world. It will be distributed for free to the Arab Federations and Chamber of Commerce, the local Arab Chambers of Commerce, the Greek Diplomat Authorities accredited to the Arab world and of course to the business communities in Greece and the Arab countries in hard copy and electronic form. This Directory is exclusively for the members of the Arab-Hellenic Chamber which are financially settled. For those who wish to take advantage of this service but they are not members, they can register with our Chamber. For the plain insertion of our members in the Directory, please CLICK HERE, in order to fill in our data electronically. This service is offered free of charge. For those who wish to have an insertion in our Directory, are requested to consult the relevant document HERE.